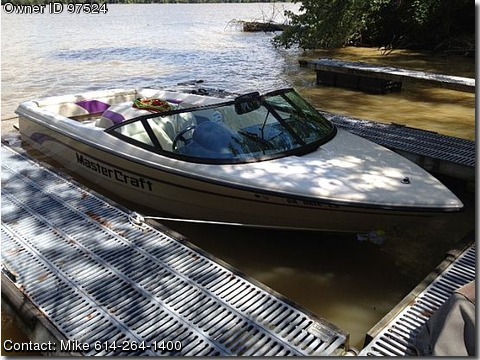 Please contact the owner directly @ 614-264-1400 or mike@emeraldfinancialadvisors.com…1998 Mastercraft Sport Star ski boat. Only 90+ original hours (we are currently using the boat). 2 owner. Boat is in water and ready to be used. Exterior in good condition (just a little faded). Boat had fresh tune up and new battery last month. Installed new stereo (w/bluetooth), 4 speakers and amp last month as well. Includes Mastercraft trailer that was recently serviced as well. Full cover in good condition. Great opportunity to get into a world class ski boat at a reasonable price.